That chance discovery leads Bosch to a shallow grave in the Hollywood hills, evidence of a murder committed more than 20 years earlier. 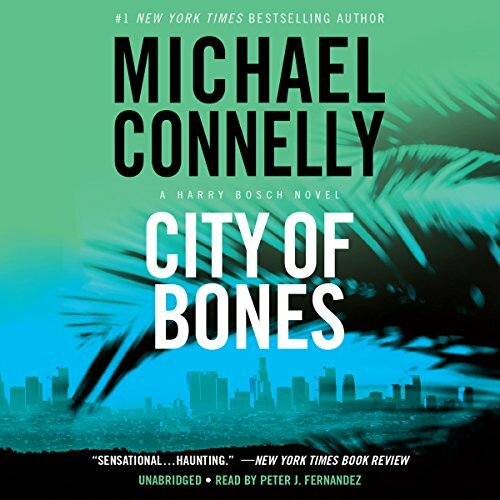 It's a cold case, but it stirs up Bosch's memories of his own childhood as an orphan in the city. 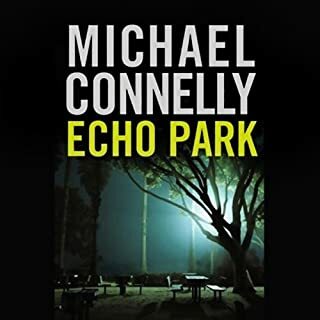 Digging through police reports and hospital records, tracking down street kids and runaways from the 1970s, Bosch finds a family ripped apart by an absence - and a trail, ever more tenuous, into a violent, terrifying world. 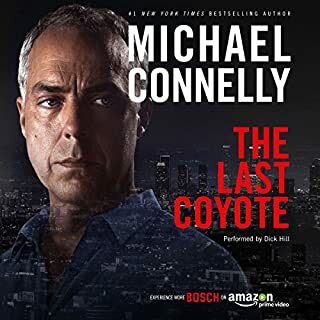 As the case takes Bosch deeper into the past, a rookie cop named Julia Brasher brings him alive in the present in a way no one has in years. 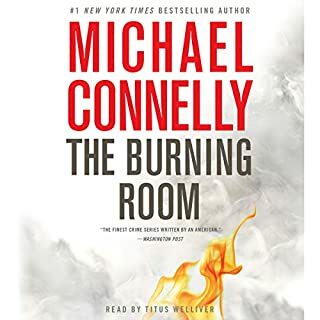 Bosch has been warned about the trouble that comes with dating a rookie, but no warning could withstand the heat between them - or prepare Bosch for the explosions when the case takes a hard turn. 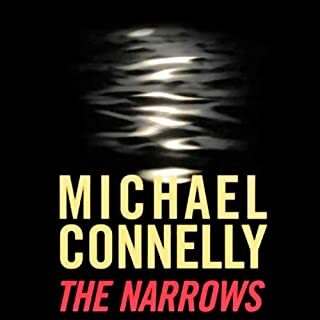 Drawing on the "precision-tooled twists" and "wellspring of authentically lurid detail" (Los Angeles Magazine) that have made him one of the fasted-selling novelists at work today, Michael Connelly has written a riveting, hard-edged, and unforgettable thriller. some of the char voices sounded too similar and the female portrayals could use work as they all sounded exactly the same. I have heard better but also have heard worse. story as with all bosch novels is amazing. If you're looking to be entertained, or to pass the time in an enjoyable manner, try this book. It's not at the tip top of the line, but it holds its own. The development of the main character was essential to the success of this story, and it is done well. He is charismatic and the reader learns a lot about him by the end of the book, coming to really like and respect him. I read other reviews before buying this book and was looking out for the out-of-place relationship with the rookie cop that so many mentioned. I, however, found that relationship to be completely necessary to the story. It kept the narrative from constantly revolving around the murder, which would quickly have gotten dull. It added another dimension to the main character, taking away the tough cop facade and showing us the human beneath. I think it was these parts of the story that really caused me to like the guy. Overall, I liked this book. It was not one that marked me; I probably won't remember it in 2 years. But it kept my mind happily occupied from the time I went in until the time I came out. That's what matters, and I recommend it to anybody who likes a good read. After reading Blood Work I wanted to give Connelly another go. I think I broke my all time record for completing an unabridged novel with this one. If it were a book I'd say I couldn't put it down. Since it was a cold and dreary weekend, I was satisfied to just sit back and enjoy. I'm still not sure what role the rookie cop, Julia Brasher, had to do with anything except fill. I kept wondering what she had to do with the plot. I guess Connelly figured he needed a cute young woman in there to spice it up. I do recommend this book regardless. This was a wonderful book. 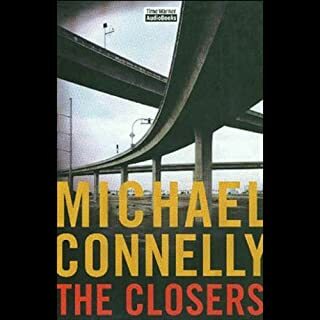 I have not listened to any of Michael Connelly's books, so this one was my first. It was really great. Very enjoyable. 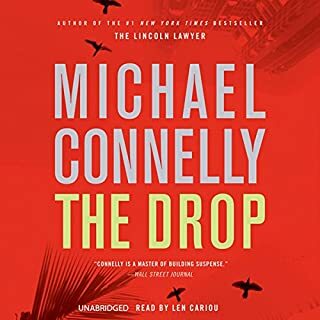 The main character, "Harry Bosch" is a very lovable guy. If you liked the old movies that featured Humphrey Bogart, you'll love this one. The narrator sounds like old Bogie himself. 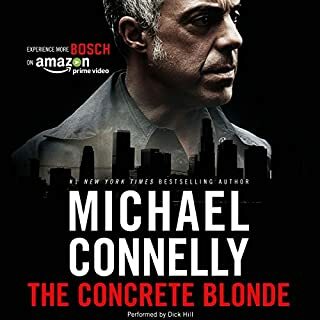 So I could actually visualize him as Harry Bosch. There are some surprises in line for you as to 'who dunnit' if you choose to listen to this great story. 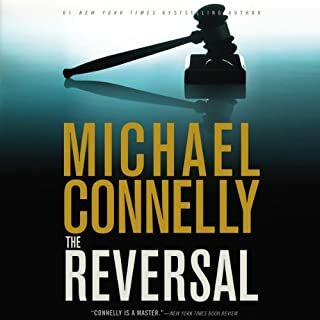 This was quite a long story, but I didn't mind.I will now go back and purchase some more books by this author, especially the books about Detective Harry Bosch. Oh Harry, Harry - what will you do now? 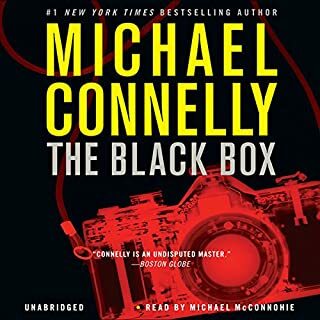 This was my second Harry Bosch reading. 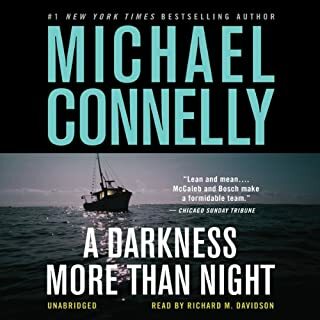 After listening to A DARKNESS MORE THAN NIGHT, I picked this to follow the Harry Bosch trail - I thought he was an interestng character. There were some flaws in the plot. 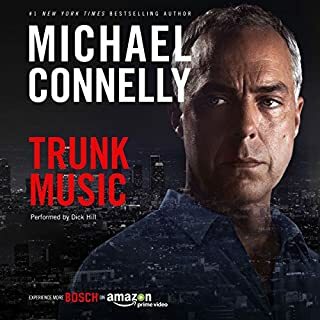 I don't see a detective such as Bosch leaving Julis'a back story where it was. I think he would have spent a little more time chekcing out her past after the tragedy. I also agree that the Dr's character was a little too superficial as another reviewer said. I think Bosch is an interesting, complex character, though. He's got a brilliant mind but he misses some very obvious things until he stumbles on the right answer later on. 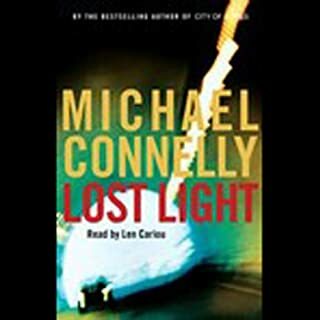 There are two more Bosch stories written since this one (LOST LIGHT and THE NARROWS which is coming out in May in print) but I'm going to go back to the beginning and read the earlier ones first. Hopefully the newer ones will be out on Audible by that time. This isn't a perfect book but definitely worth listening to. While I found the characters formulaic and the plot predictable, the high-quality narration of this good story provided 11 hours of enjoyable listening. I recommend it and probably would listen to it again. I am at a loss for words.. 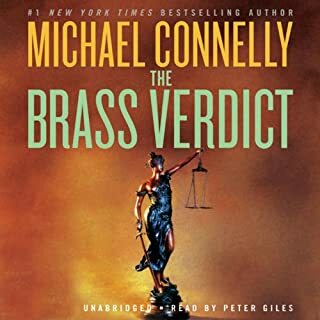 I have read in order every Connelly book - including the other series with guest appearances in Bosch's series and this book left me hanging. I was busy scanning photos as i was listening to it and all of a sudden I heard ' - we hope you enjoyed....-' I actually backed up the story to make sure I didn't miss anything. It was as though he had to finish this at a particular time and couldn't write another word after that second passed. I felt the story was not concluded New narrator...not my favorite..but I have heard worse. 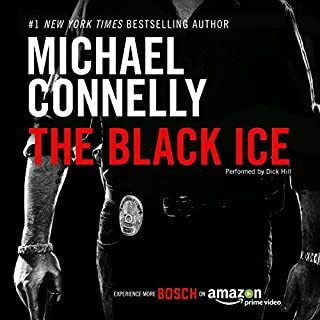 After the terrible "Darkness" book this book got back into the swing of what a good Bosch book is all about. While the story is great unfortunately is was not paired with a great reader. 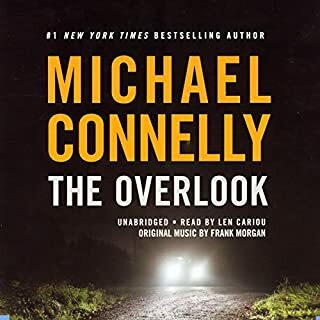 Because this is an "Audio Book" review I had to bring the rating down to a 3, while the story was a 5, because the reader is really just reading and not emoting the story or distinguishing the characters at all. If you can deal with a subpar reader, i still would recommend the book for the story. 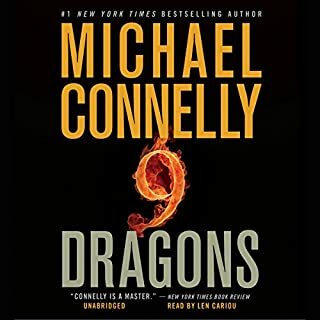 I have gone through almost all of Connelly's books and this one just didn't do it for me. 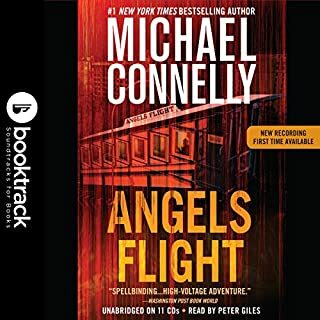 I would have to agree with the previous posting from Joel that the narrator of this book does not have much fluctuation in his voice for the different characters, which leads it to being very dry and at times confusing. I really haven't been a Terry McCaleb fan and this just proved the point even more. The story line is okay, not his best. My fav. 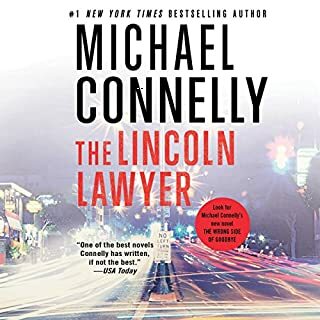 Connelly books- The Lincoln Lawyer, The Black Echo, or to make is easier his first five books. The book was highly addictive. I didn't want to shut it off. Overall, enough plot twists to keep me interested. Good character development and I thouroughly enjoyed it. This is an entertaining story line, with some engaging characters, though the old doc seems too good and helpful to be true. The female rookie is entirely unbelievable; her motivations and internal life are left ill-defined. Too many things are left under-developed in this book. We are left too many things with not absolutely certain, not absolutely clear at the end of it all. I found the reader a bit annoying, with a strange cadence and inflection to his narration. The reader for "A Darkness More than Night" has a delivery more appropriate to this type of novel.